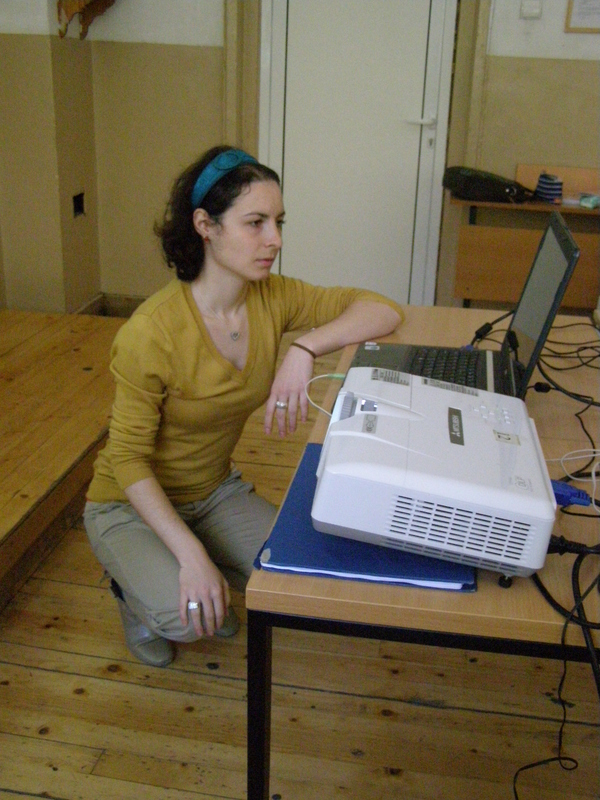 From March till June 2012 the EVS volunteer Judith den Boer was leading a working group on Human Rights. Most of the participants in the working group were also volunteers in the Integration Centre for Refugees in Sofia. Their idea was to lead different workshops in high schools in Sofia on topics like tolerance, cultural diversity, prejudice and racism. The group developed a programme to introduce the topic in an academic hour through non-formal education. They had workshops in half a dozen high schools around Sofia. Although the results are not impressive in terms of numbers, it is essential that the topic was brought up and discussed between young students. More about the impressions of the volunteers participating, you can find below. Hearing about the idea to start an initiative for tolerance and anti-racism workshops at Bulgarian high schools, I felt both excited, but at the same time a little bit doubtful. On the one hand, I knew that activities related to interactive teaching methods and anti-discrimination topics were highly necessary. On the other hand, it was hard for me to believe that after 50 -70 minutes of games and sometimes heated discussions, I as a volunteer could change the deeply ingrained nationalistic and sometimes racist attitudes and beliefs of 15- and 16-year-olds. After having been volunteering for four months I was surprised that many of the students became very interested in our stories on cultural diversity and equal treatment of people. I feel very enriched and optimistic about the success of similar activities, because I saw that they do make impact. To my mind if I have helped any student broaden the scope of his or her mind, this is a success, and this project gave me the opportunity to feel successful. I had an amazing experience volunteering in the workshops aiming to make awareness about prejudice and discrimination. The workshops, as far as I have seen, were fun, enlightening, and educating. They were designed in such a way so they could keep the attention of the students and get them to interact. I literally witnessed situations where a couple of students could see by the end of the session how intolerance could be projected and how it could draw an unnecessary gap, which can hinder development and overall peace, I do wish there were more schools that we could go to but I believe that it is the small steps that will eventually lead to a big change. Being a volunteer while being a high school student I had grew up a bit skeptical about those projects with time. I don’t know what made me sign for the Tolerance Project, but I am so happy that I did! I had great time, meeting some great people and also the kids! The opportunity to work and help young people develop is a feeling that can hardly be described. The only thing I am sorry of is that I could participate in only so many sessions. But I shall never forget the feeling when I saw those kids we were working with, starting to wonder, starting to question thins undisputed to them up to that moment topics. I’ve always strove for an opportunity to change things, to make them better and I had exactly that opportunity with the tolerance project. We didn’t introduce something so new to the kids, but just made them think and discover their own truths rather than following blindly the public opinion.